Dave and Amy Freeman most definitely are not your average Joe and Jane. 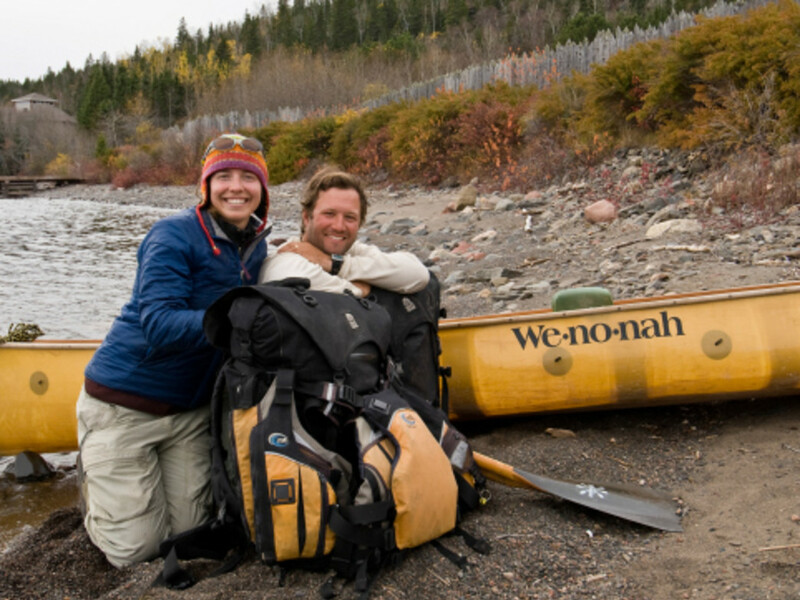 Since 2001 the couple has traveled together more than 30,000 miles by kayak, canoe, and dogsled in the Amazon, the Arctic, and beyond. They were also named National Geographic Adventurers of the Year in 2014. Perhaps most impressive, their outdoor adventures around the world haven’t been just for recreation, but rather, they are working to educate and inspire others through their wilderness journeys. 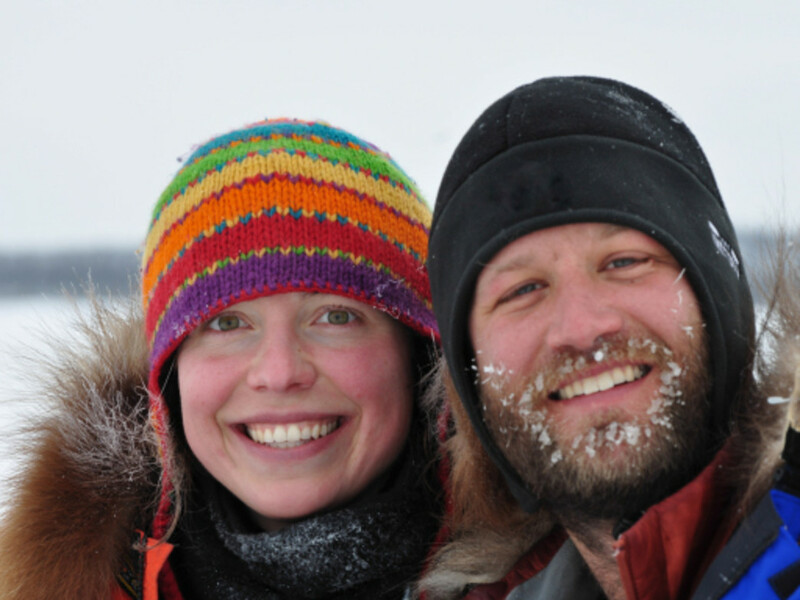 Starting in late September, the Freemans will embark on their most ambitious expedition yet by living 365 days in the Boundary Waters Canoe Area Wilderness. While they have spent plenty of time guiding trips in the BWCAW near their home in Ely, this will be an entirely different type of adventure. In addition to contributing resources to their educational non-profit, the Wilderness Classroom, the Freemans also hope to bring attention to the importance of protecting this wilderness area from proposed sulfide-ore copper mining. Through their Campaign to Save the Boundary Waters they will travel more than 3,000 miles by canoe and dog team and hope to visit more than 500 lakes and streams during their year in the wilderness. We chatted with Dave about what motivated them to take on this expedition and the impact they hope it will have. Where did you first get the idea to spend a year in the Boundary Waters? It’s something that I’ve wanted to do for a long time. When we were paddling from Ely to Washington D.C. last fall, we started thinking about it more and also became more involved in the mining issue in Minnesota. We figured now is the time to do it because the next year is really critical in terms of protecting the Boundary Waters from mining. Explain the issue with mining. There’s a long history of mining in northeastern Minnesota, but the new mines that are being proposed, some within a quarter mile of the BWCAW, are different than any type of mining done here before. They are looking for copper and nickel and other precious metals, but there is also sulfide in there. Less than one percent of what they pull out of ground is actually copper or nickel, so the rest is just waste. In that waste there is that small percentage of sulfide and when you mix sulfide with air and water it makes sulfuric acid. To get out the copper and nickel, they crush all the rock into talcum powder form, creating hills hundreds of feet high. That all needs to be protected from air and water so it doesn’t cause a chemical reaction. This type of mine has never been build anywhere in the world without causing significant groundwater pollution and environmental damage. We don’t feel the edge of our nation's most popular wilderness area is a good place for this type activity. Can you describe a bit about the logistics involved in spending a year in the BWCAW? 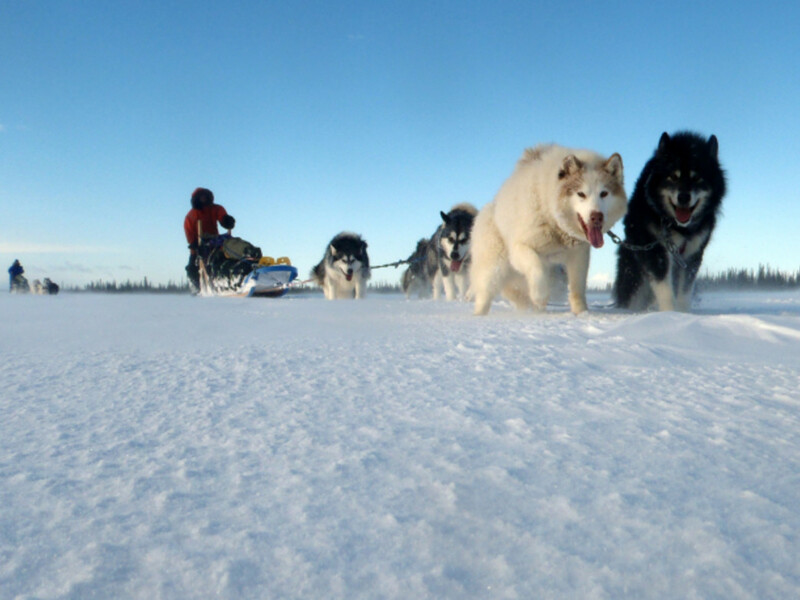 We are going to be traveling by canoe three seasons and then sled dogs during winter. 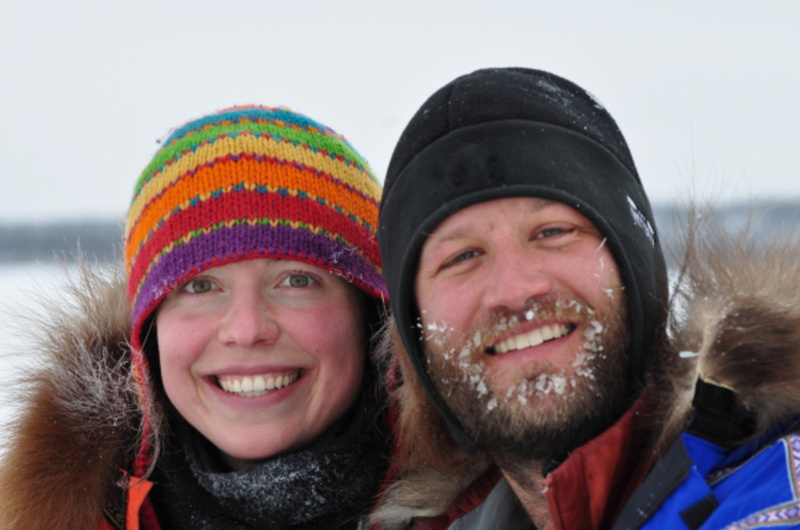 We have two toboggans and Amy and I will be on skis or snowshoes depending on how deep the snow is and whether we’re on a lake or portage. Those are our modes of transportation. We are planning to resupply approximately every two weeks. People will bring in supplies and meet us. What route do you plan on following? We want to go to as many of the lakes as we can. Sometimes we will stay for a couple days in one place, but we plan to move around a lot. Basically we’ve mapped out roughly when these resupplies will happen and picked entry points near where the resupply team will enter. We will be in different regions during different time periods while we are there and will spend time exploring all the lakes in the area. We hope to visit 500 lakes and streams. There is such a vast network—there are over 300 lakes in the Boundary Waters that have no portage trails at all and the Superior National Forest contains one fifth of all of the freshwater in all of the national forest system. It’s an amazing, large, and pristine water source in our country. It’s really going to be cool to be able to go to many of these lakes that don’t get visited by people very often. How will this trip benefit the Wilderness Classroom Organization? We are going to be posting all sorts of information about the animals we encounter. We’re also working with the forest service and Minnesota Pollution Control Agency to design some water quality tests we can do so there will be scientific data we can share. A big part of our goal with the students is to introduce them to the concept of wilderness and show them that we have these amazing wild places that belong to all of us. We want to spark interest in the natural world and get them to want to come visit places like the Boundary Waters—or even places closer to their homes—we have nature all around us. What do you think will be the most challenging part of this year? The length. A year is a long time. I think some of it’s going to be things like showers and fresh produce that we will miss, but a lot of it is that we won’t be able to see family and friends as much as we normally would. That’s definitely going to be one of harder parts. We just feel more alive when we are out in the wilderness. It’s hard to pinpoint a specific thing, but it’s just a real privilege to be able to spend long periods of time in nature. While there will be challenges, we will be able to slow down and experience the changing of the light, the sunsets on a lake, the call of the loon, the sound of our snowshoes crunching through the snow, and then the silence. These things make the cold fingers and toes worth it. Along with that, we will know that at the end of the day, we are doing everything we can to protect this place we love and trying to impart an appreciation for the natural world with young people.